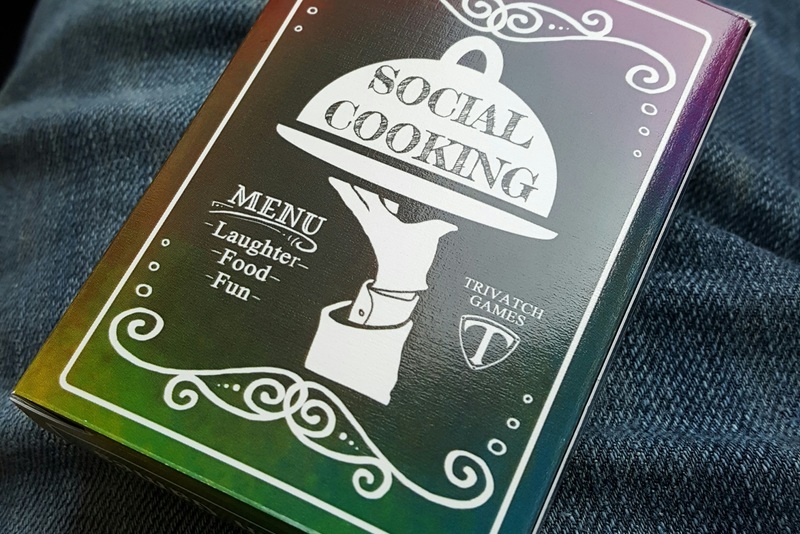 Social Cooking is a fast and funny cooking card game that just about anyone who eats food can pick up and play! A judge reveals a chosen secret ingredient for an appetizer, entree, or dessert. The cooking players then combine items to cook up the best possible dishes for the judge. From delicious to wacky, and sometimes outright repulsive, cooks have the chance to debate why their chosen ingredients are the best for the dish. As the role of judge rotates around the table, be the cook that has pleased the most taste buds, and you will end up as the Top Chef! Feeling hungry? Watch the Trivatch Games Facebook page for the latest news and updates as we focus in on Social Cooking during the month of July!